This pin up layout is fairly typical and generally allows for medium transition to roll with medium transition at the breakpoint. For Jeff, it will get into a roll just a little sooner; for Sean, just a little later. 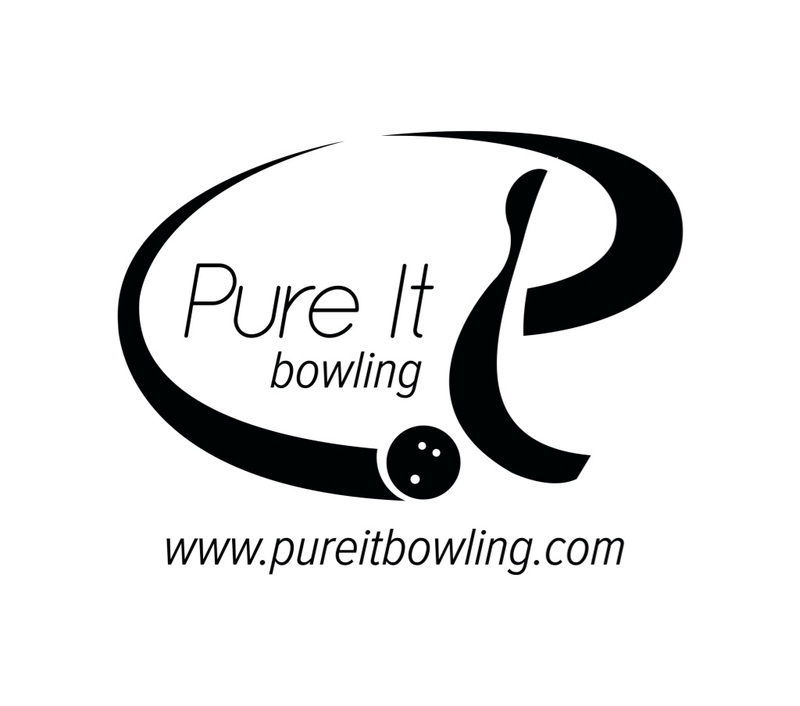 Pin distance for all bowlers should produce large tracke flare. This ball seems to “sync” up differently to each bowler. High end balls are of course priced on the high end. That’s fine but great value is quite difficult to attain when you are at the top of the price range. The relative value will vary depending on what you get out of the ball. In this case, we can see some finding much higher value while some finding less. The reason why will be explained shortly. This is a brand new core for Storm called the G2. 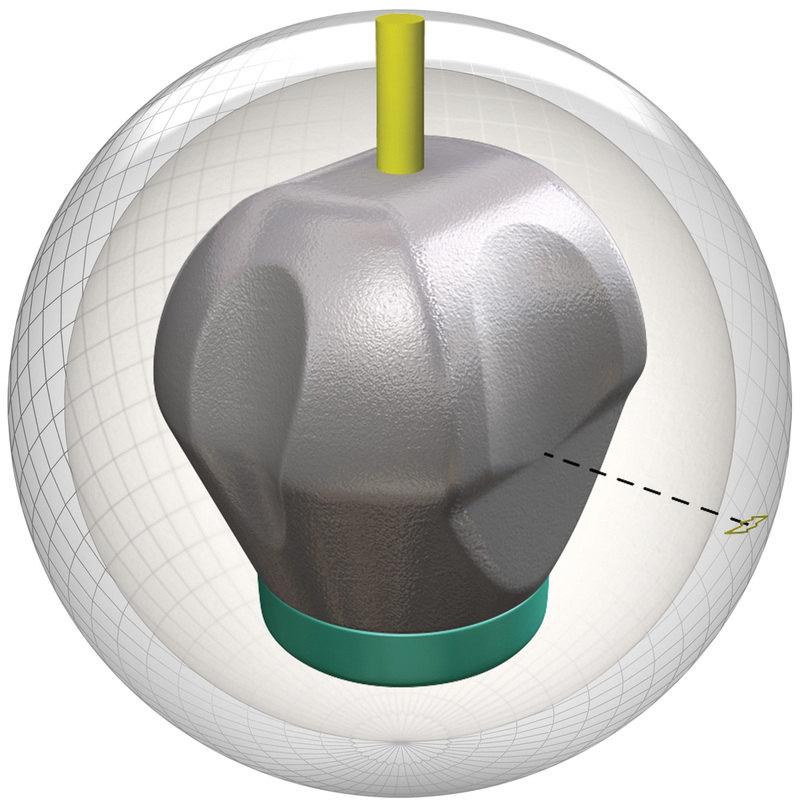 It stands for the second generation Shape-Lock core found in the Virtual Gravity. 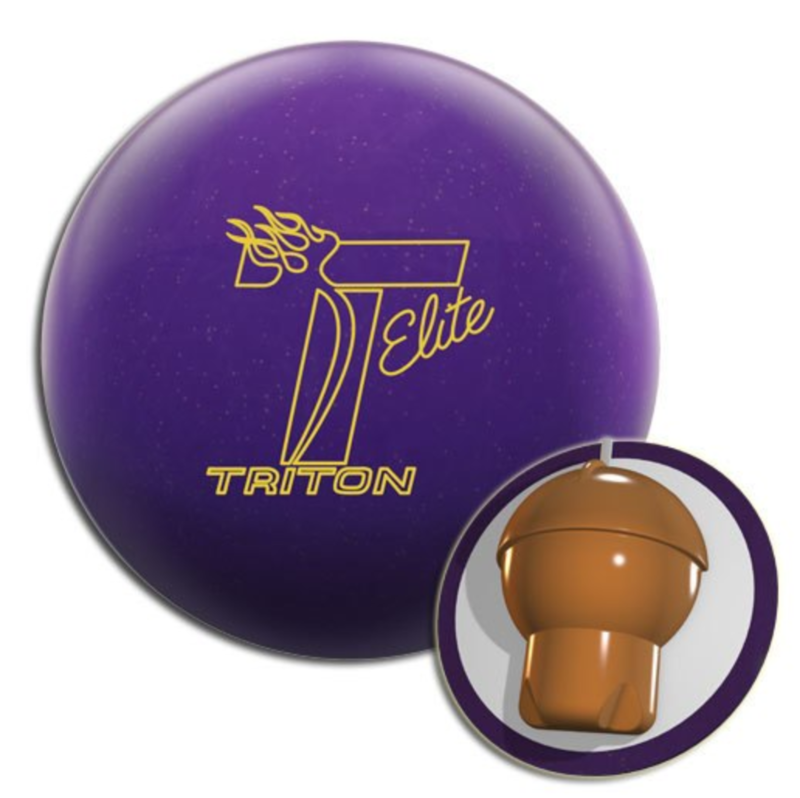 Many have loved the Shape-Lock core in the various top-line balls it’s been used in. Early days to say if this one will be loved but the specs are very aggressive. 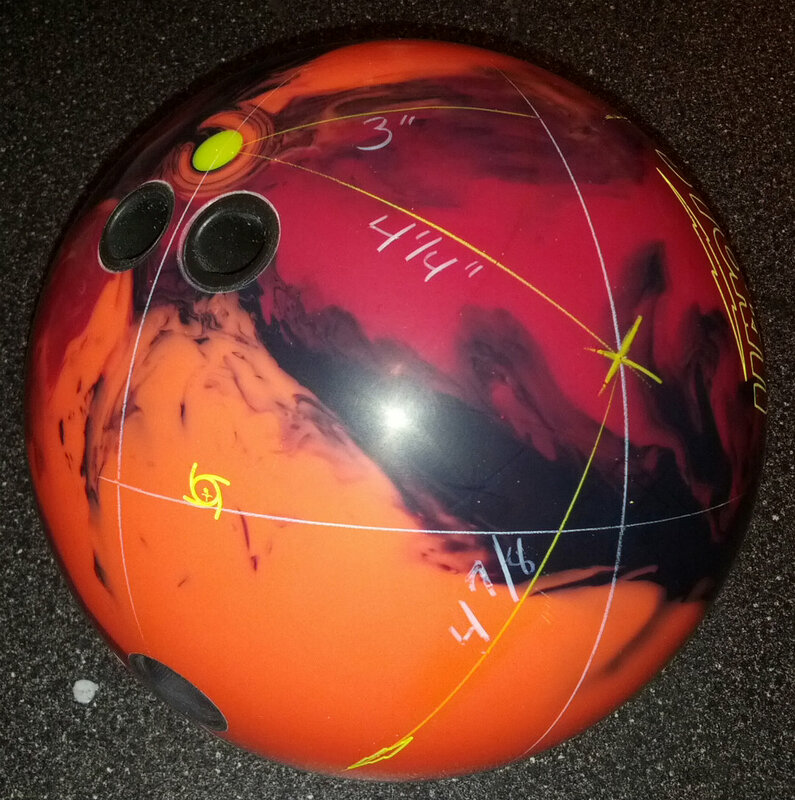 The G2 has an RG of 2.47, differential of 0.058, and mass bias of 0.028 for a 15 pound ball. The flare potential of over 6 inches. Compare that to the original Shape-Lock HD core with an RG of 2.48, diff of .052, and mass bias of .020 for the same weight. The intent is to create an even more dynamic motion. What that actually looks like will take some testing. 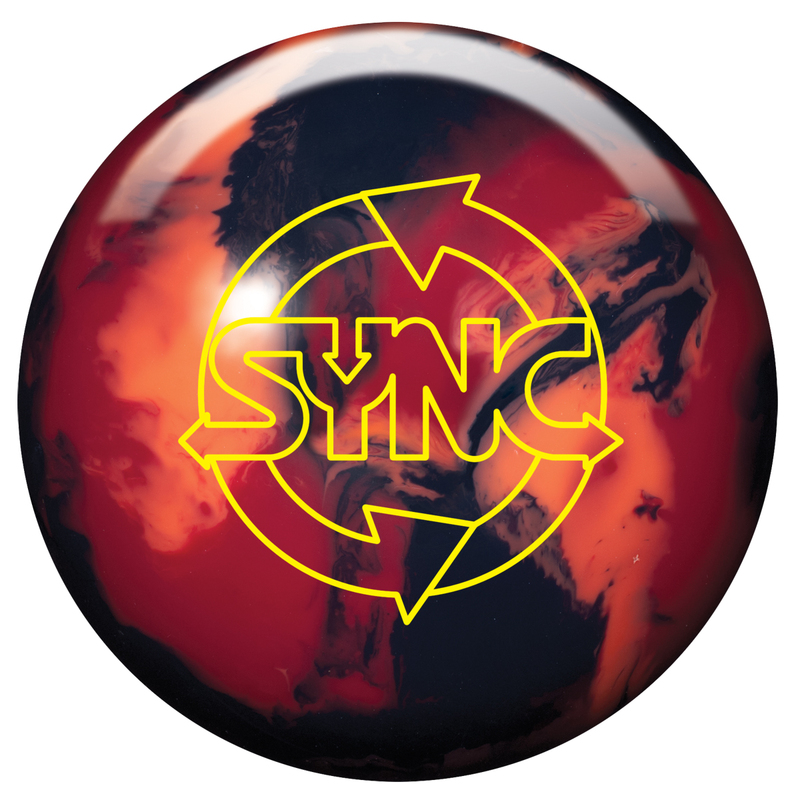 The new Sync uses Storm’s NRG cover. This touts the use of nanotechnology where the intent is to create high surface roughness. We’ve seen this cover on the Virtual Gravity Nano. The cover already has a history there, albeit one ball. Nevertheless, the Nano also came out of box with a 4000 grit finish. This gave it unexpected push downlane for what is supposed to be a very aggressive cover. That meant that if you wanted to see more aggressive grab, you can take the surface down to 2000 or less. You will likely see slightly less motion on the backend with lower grit because there will be more friction in the front part of the lane. We recall getting pretty strong downlane motion with the Nano so didn’t expect this strong cover to dissipate any backend motion from the Sync. For the early tests, we have not adjusted the surface on the Sync so all 4 testers used the ball with the 4000 grit out of box surface on a house shot and sport shot. We’ll have to take our time to describe this ball reaction. We were glad to have 4 testers for this round as we had lots of variation in ball reaction but also caught some obvious trends. Each tester had very different looks and so we have to get into some detail. Let’s start with our Stroker. Eric has more of an end over end roll with over 45 degrees axis rotation. His drilling would help the ball get into a roll a little quicker as well as transition faster at the breakpoint. Eric saw a very consistent ball reaction and nice strong motion off the spot. Definitely not jumpy, but a nice and easy readable motion that drove through the pocket nicely. This ball is definitely cleaner through the heads than we expected. When you watch the video, you will see the ball clearing the heads easily. Until we saw the Digitrax, I would not have expected the breakpoint to be so early compared to the other equipment. It’s easy to mistake the clean look on lane for a later breakpoint. In fact, the breakpoint was not as late as we expected. Digitrax showed a breakpoint of 35.5 board with 5.8 degrees of entry angle. Eric plays outside so don’t be too surprised by the breakpoint. 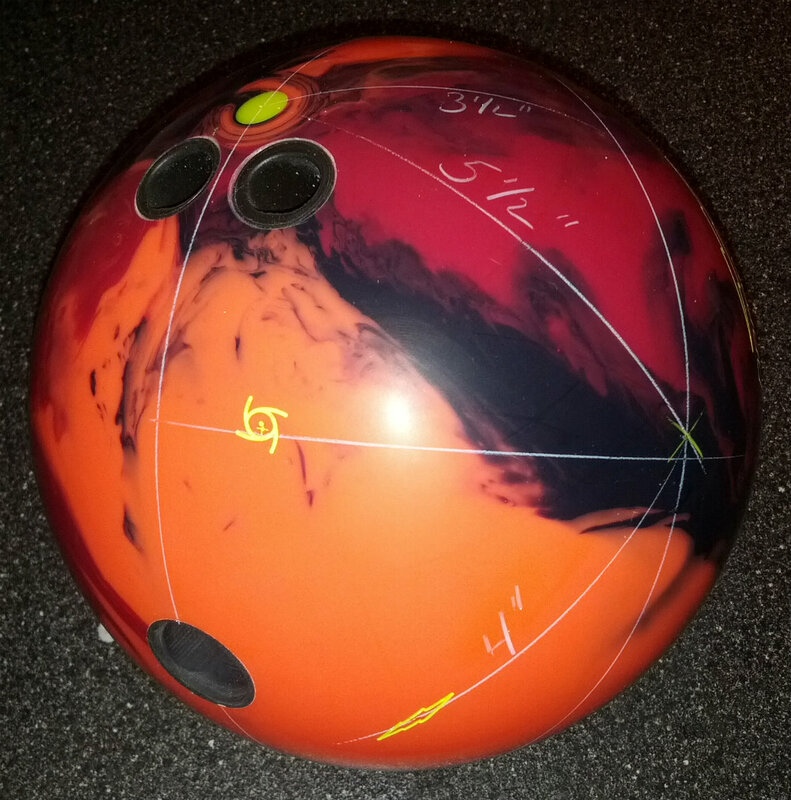 The Lucid (drilled similarly) looked to roll earlier and have a heavier punch through the pocket. Indeed, Eric got 7.2 degrees of entry angle with the Lucid, however the breakpoint was about a foot later. Seems to make sense when you look at the specs of these 2 pieces, but watching the video and the Lucid definitely looks to turn over earlier. The core seems to stand up more definitively. Finally, Eric compared the Sync to the Nano. The Nano is actually drilled pin down (35x4x70). The Nano looked to go longer and stronger on the backend. It very clearly did and was confirmed by Digitrax. Although his targets were exactly the same with all 3 balls (8/9 at the arrows, 5 at the breakpoint), the Nano pushed straight through the heads and went 3 feet longer before it turned over, making a 6.5 degree entry angle. Very varied reactions, with the Sync being the smoothest of the 3 balls. Next up was our first tweener, Jeff. Jeff has a much higher tilt that the other 3 bowlers with about 45 degrees or more of axis rotation. With the amount of side roll Jeff gets, he never has a problem getting a ball to push. Right off the bat, Jeff had a lot of trouble getting this ball to climb the hill. We could tell he was able to get the ball to push quite easily, but it simply didn’t seem to have the juice to make it back. He struggled with half pocket hits. The ball again looked clean through the heads for him and then when it looked like it was going to make it’s move, it would be light or half pocket. Jeff eventually found a home with a bit more direct line, but wasn’t too happy with generally low entry angles of about 3 degrees. He compared the Sync to his similarly laid out Storm Lucid. The Lucid pushed over 4 feet longer with 4 degrees entry angle. It may not look it on video, but the Sync was too much of a hook stop motion for Jeff. This is where a different layout could likely yield a very different result for Jeff. Norm was our second tweener. Norm is more up the back with also a higher than 45 degree axis rotation. Hence, he can generate a lot of side to side motion for a tweener. Norm seemed to find a home pretty quickly with the Sync on the house pattern. The ball makes a nice rounded move, smooth off the breakpoint but continues to stand up and punch through the pocket. The breakpoint was about 39 feet with about 5 degrees entry angle. He tested the Lucid on virtually the same line and like the other testers, he saw more length and snappier backends. It went 1.5 ft longer with a 5.7 degree entry angle. This is an expected difference given the difference in coverstock. With the Nano, he again got a slightly longer breakpoint than the others but a similar move off the spot to the Sync. For the tweener of Norm’s type, this ball was quite a fit. On to our cranker, “Revz”. His unnatural ability is certainly not typical, but he gives us a good idea of what the younger studs with ridiculous rev rates are more likely to see out of the Storm Sync. I would have to say that Sean certainly had a great look with this ball. 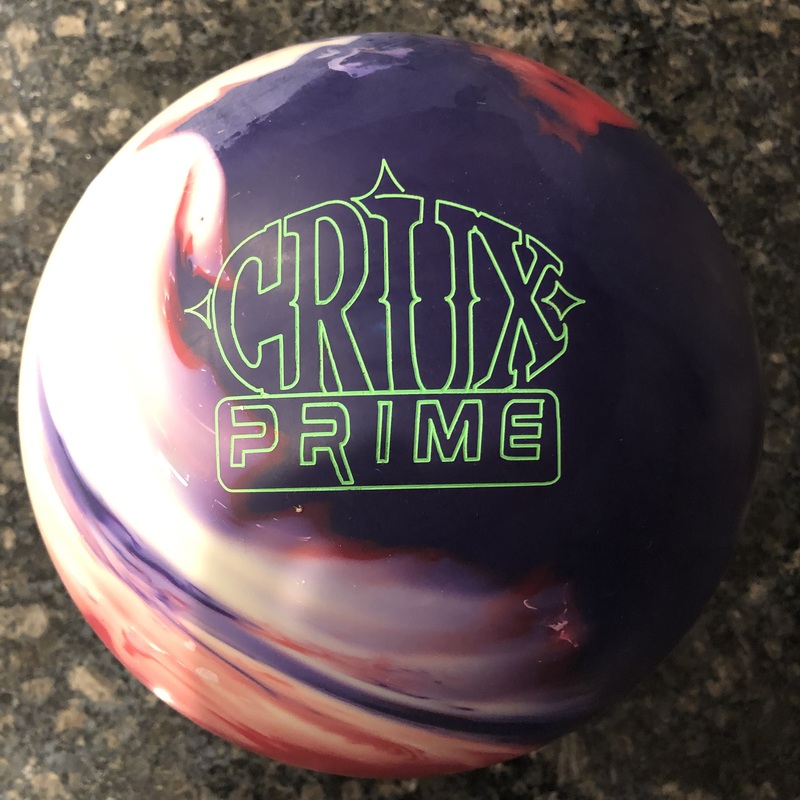 It might seem obscene to think that playing 5th or 6th arrow can be a “good look”, but it’s what this ball does overall that’s at the heart of the matter. For Sean, the Sync created a nice smooth arc with an earlier breakpoint than all the other equipment, calming the backends down. 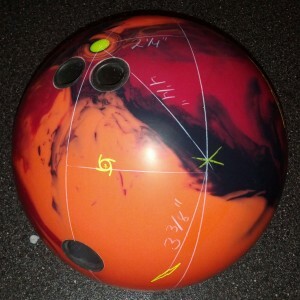 That means that the ball will have a reasonable entry angle while his rev rate does the damage. He would then worry less about this ball totally breaking loose off the spot. From the 5th arrow, he got a breakpoint of 42 feet which happens to be the length of the pattern, and got about 5 degrees of entry angle. It was just smooth and he was easily able to strike. When comparing, the Lucid pushed 3 feet longer and had a much higher entry angle from the same exact target and breakpoint board. Because the Nano pushes a bit longer without having quite the same backend flip as the Lucid, he had to play it 3 boards out at the arrows but it also got the same entry angle as the Lucid. Now on to our 40ft sport shot, WTBA Athens. For Jeff (Tweener), I believe this was a tale of two balls. Now with the tougher pattern, this ball seemed a lot easier for Jeff to consistently get to the pocket. The ball seemed to have excellent control. It reads early and just trucks its way to the pocket. The Digitrax analysis bears this out with a breakpoint of about 26 feet and entry angle of over 4 degrees. His Lucid pushed a couple of feet longer with just slightly higher entry angle. 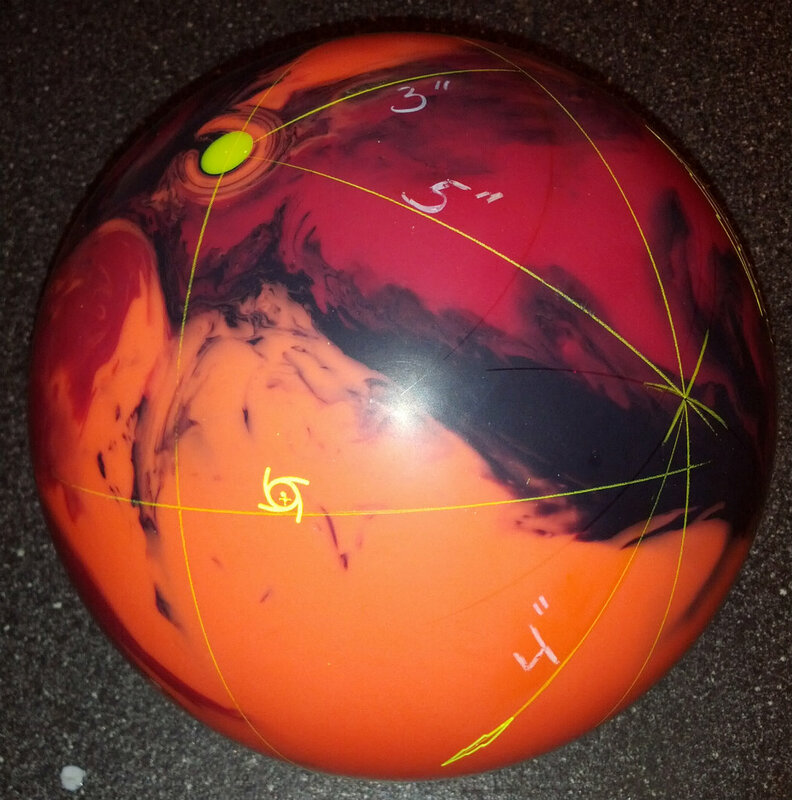 So with the Sync, the ball ate up the pattern. He was able to get a more “direct” look with the earlier reading core and get a smooth and strong move. He may have felt jaded after throwing it on the house shot, but our session on the much tougher pattern bared fruit for Jeff. Norm, our higher rev tweener on the other hand lost a bit of the forgiveness on the sport pattern that the Sync had given him on the House Shot. With the ball standing up hard for him like we described earlier, he had no chance with small misses to the inside. The Sync peeled hard off the corner though off this 40 ft sport pattern. The Digitrax showed a breakpoint of 32 feet and entry angle of almost 7 degrees. Next was the Nano where he only changed his target from 6 to 7 at the arrows and this ball pushed 4 feet longer with the same entry angle. Norm seemed to “understand” the Nano’s longer ball reaction more as he seemed closer to the pocket more often. The earlier read of the Sync actually caused more unpredictability for him on the sport pattern because of how hard it was peeling. For Sean, it was more of the same on Athens as he saw on the THS. The Sync continued to offer the same control it provided on the longer house shot. Another opportunity to see a “smooth” motion cause destruction and mayhem. This is a slightly earlier breakpoint than he typically sees while creating controllable entry angles. While the Storm Sync appears quite clean through the heads, it fools you from realizing that this is an aggressive early rolling core. It will create a nice smooth backend motion because of the earlier roll. For those with less tilt, you will get to experience the more continuous backend motion. For those with more tilt, you may need to look into more aggressive coverstock finishes or drillings. 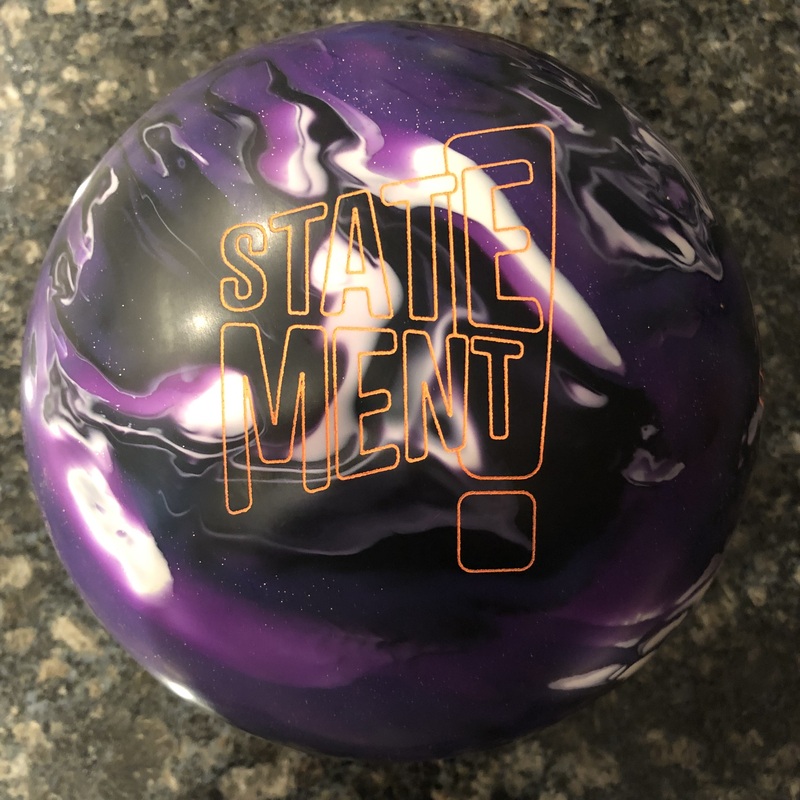 Our Strokers and higher rev players found the most success with this ball, while our higher tilt tweener struggled with this particular drilling until he got to the Sport pattern. This ball seems to give Storm a different look. I believe we are typically seeing “long and strong” from them, but the Sync follows more in the vein of balls like the Marvel and IQ with smoother, earlier rolls. The Sync will need to be carefully sync’d to any given players game, more so than some other equipment. Use the right drilling though and you will likely see very good and versatile results. We hope to be able to try some different surface adjustments to see what versatility the Sync is capable of.